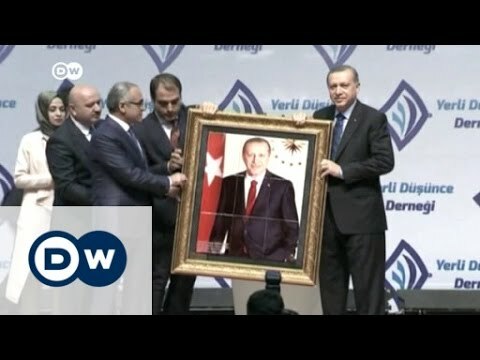 What Next for Turkey After President's Power Play? What Next for Turkey After President’s Power Play? Ahmet Davutoglu was disliked by many in Turkey. [Even after] he step[pped] down as Turkey's Prime Minister amid an apparent confrontation with President Recep Tayyip Erdogan, he will fail to distance himself from the grave human cost of the government military operation in Eastern Turkey and a crackdown on media and the opposition. But it is what happens next, with President Erdogan likely to be even less restrained than he was prior to Davutoglu's exit, which is of most concern. Under the pretext of the “fight against terror” and the outlawed militant organisation PKK, PM Davutoglu's cabinet ordered month-long curfews and heavily armed assaults on Kurdish towns in the country's southeast, which cost at least 338 civilian lives and forced at least 355,000 people to flee their homes in the last eight months, according to a report by the Human Rights Foundation of Turkey. Also under Davutoğlu's government — formed in August 2014 — four newspapers and a national news agency were appointed with ‘government trustees’ before being shut down, while about 20 TV channels were removed from satellite and digital platforms following “terror propaganda” accusations. Dozens of websites and news articles from mainly Kurdish news agencies, dailies and other media outlets, along with hundreds of Twitter accounts belonging to reporters and dissidents were blocked by the government on “national security” grounds. Also during this time, more than 1,845 people, including journalists, were sued for “defamation” of the president, some of whom have already received jail sentences. As of this writing, there are 33 journalists in Turkish jails, most of whom are Kurdish reporters in pre-trial detention for “terrorism propaganda” charges. On May 6, the daily Cumhuriyet's editor-in-chief and Ankara bureau chief was sentenced to more than five years in jail for “revealing state secrets” in their news reports covering evidence of Turkey's intelligence agency shipping arms illegally to Northern Syria. Several freelance reporters have been jailed and deported since the last summer, and now growing number of foreign correspondents and reporters are being denied entry into Turkey. Der Spiegel's correspondent was last year pulled out of the country after receiving death threats and having his press card not renewed, Sputnik's Turkey bureau chief meanwhile was deported to Moscow and had his press card seized. Access to Sputnik — a Russian news website whose propaganda has increasingly come to focus on Turkey since Ankara downed a Russian military jet used in operations over Syria last November– is predictably blocked in Turkey. Another quartet of reporters were denied entry into the country in the last week of April. Both the Committee to Protect Journalists (CPJ) and the Index on Censorship has published detailed timelines of Turkey's press freedom violations, which provided the pretext for a significant drop in Turkey's Reporters Without Borders‘ ranking. But, while Davutoglu was constitutionally more empowered than ally-turned-rival Erdogan, few believe that he was the driving force behind the crackdown on media and political opposition. Erdogan, who came into power as a reformist Prime MInister in 2003, initially promised to direct the country towards full EU-membership and the rule of law. In 2009 he initiated a courageous peace policy, the ‘Democratic Initiative,’ that involved negotiations with the PKK leadership to end Turkey's decades-long Kurdish rights problems and forge a political solution that PKK leaders were also ready to accept. But when the EU membership talks stalled around 2010, Erdogan began an autocratic turn, with the Kurdish political movement hit hardest. By 2012, there were as many as 100 critical journalists in jail, while a leading TV channel and its sister newspaper were seized by the government and sold to a company controlled by Erdoğan's son-in-law Berat Albayrak in a bid to bring media ownership into the hands of a few government-friendly business partners. Following the 2013 Gezi protests Erdogan and the ruling AKP (Justice and Development Party) asserted ever more control over Turkish society. The December 2013 graft probe that touched the Erdogan family as well as several of his ministers ended with a purge of police chiefs and prosecutors involved in the investigation. Today's sweeping online censorship and disproportionate police violence against mass protests can be traced back to legislative amendments that followed these political developments. Throughout this time, Davutoglu was Erdogan's foreign policy advisor and later his Minister of Foreign Affairs. Then, when Erdogan was elected as President in August 2014 — vacating the office of Prime Minister — Davutoğlu was his loyal successor. But Davutoglu reportedly grew uneasy over some of Erdogan's more extreme authoritarian tendencies, with one outlet reporting the pair had as many as 20 significant disagreements — roughly one disagreement per month — during his premiership. But the controversies which will define Turkey's immediate future will now exclusively be associated with the unassailable Erdogan. The president is currently demanding more powers for his office through a new constitution, and an even broader definition of terrorism as he seeks to suppress political dissent. And as the opposition talks of a ‘palace coup’, pro-Erdogan columnists are already sounding the death knell for the parliamentary system in Turkey. Erdogan loyalist Justice Minister Bekir Bozdag is the favourite to replace Davutoglu, at least until an expected referendum on lifting parliamentary immunities — a move that AKP MPs literally fought over — which will allow the government to jail opposition MPs. And as the EU and Turkey haggle over the lives of millions of refugees – a deal that may be harder to implement without Davutoglu around — Turkey's own people appear increasingly like boat-bound captives, too. But Turkey's boat does have a captain, and no-one doubts his name.